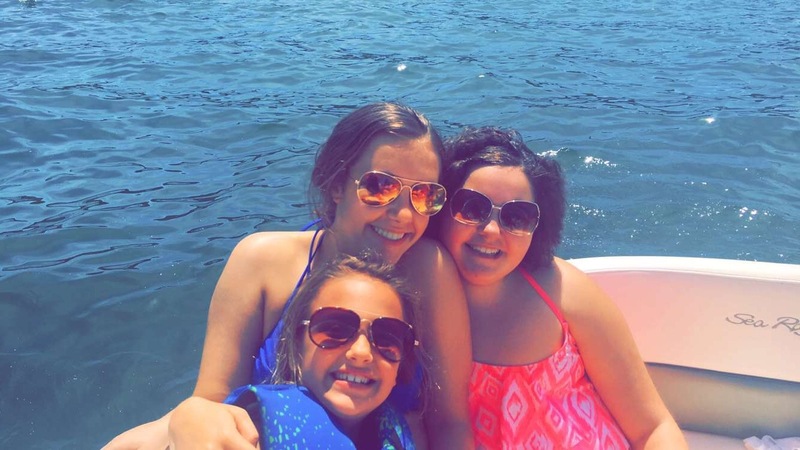 Memorial Day weekend at the lake house with cousins, a little bit of school and positive news at doctor’s appointments… It was a good week. On Wednesday, we checked in with the orthopedic surgeon. He was very pleased with Leah’s progress. After three weeks of rest, her knee is in considerably less pain. We still use the continuous motion machine 3-4 hours a day, and we have a follow-up appointment in two months. After seeing such good results in just three weeks, the doctor is hopeful that we will continue to see improvement. We pray, that with time, the extra bone will resorb and no further treatment will be necessary. After Avastin on Thursday, Leah wasn’t feeling well, but today she is feeling much better. A recent steroid burst is helping with her dizziness. We will finish the burst in a little over a week. We pray that the combination of steroids and Avastin will remedy the dizziness altogether. We are also working with the pain center to alleviate her headaches. The doctor thinks an increase in one of her current medications may do the trick. We will re-evaluate in three weeks. At the end of June, we are sixth months out from radiation. Although side effects can last up to a year, we may start to see improvement as the radiation starts to have less of an impact. The next MRI is scheduled for August. Praying that there is a visible change in the tumor, but more importantly that Leah starts feeling better. We are still shooting for a good start to the new school year in August. Last, but not least, her lip is healing beautifully. The plastic surgeon assured us that it will be an easy fix. Our next appointment is in December. There is a good chance she will be ready for the procedure at that point.